Over 30 drills to improve reaction time and create a more efficient and successful goalie. "I think that this is one of the best videos I've ever seen from Championship. The depth and breadth of the content, along with the innovative approach of the coaches, is excellent. I really enjoyed it and found it incredibly useful!" A common problem that coaches and goaltenders face today is having a limited number of drills to cycle through, which causes practices to get stale quickly and limits the goaltenders' growth. 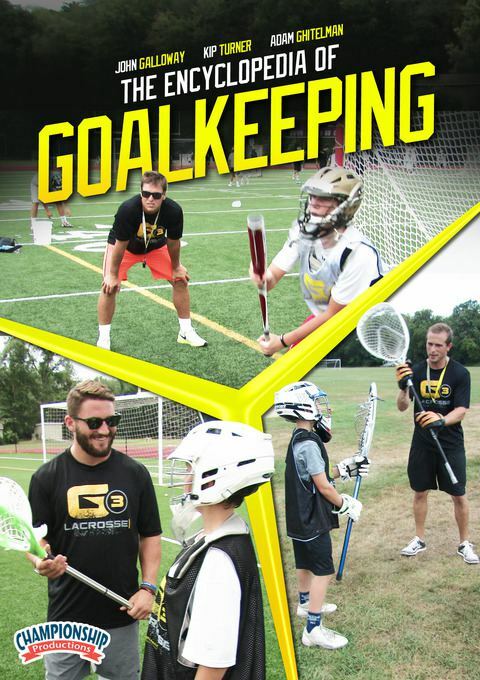 In this video, the staff at G3 Lacrosse deliver a virtual encyclopedia of drills, utilizing many different strategies and tools that will teach your goalies how to focus and improve their skills. Basic goalie stance and body mechanics are defined and continuously reinforced through the application of multiple drills. This process is intended to make goalies self sufficient in their training so they can identify and correct their own technique. The variety of drills shown, coupled with attention to detail, makes it possible for the disciplined goalie to improve their reaction time and automatic response to the ball. By concentrating on the release point, your goalie will effectively slow the pace of the game, making it easier to react to and track the ball. You'll review how to find the shooter's overhand, sidearm or underhand release point and learn how to react to the ball through a series of 13 drills designed to build confidence, technique and speed. The drills directly replicate the shots most likely to be seen in games, including shots after a feed, after a drive from below, inside shots and those from above GLE. Coaches Ghitleman, Calloway and Turner use 14 warm-up drills and work on everything from foot work to a series of side to side, high to low drills. Next, they move to stick side and off stick movements, adding in heavy shaft and small lacrosse head techniques with hand-eye coordination drills to build faster reaction times. The coaches finish with drills for working clears and incorporating multiple goaltenders into drills to develop a quick pace while reinforcing technique. Coach Ghitleman reviews 11 ladder drills to build speed, footwork and concentration. He adds in drills to create balance reaction, as well as hand-eye coordination drills to build reaction speed. Turning concept into technique, this video will give your goalies the tools and technical understanding they need to correctly develop without the constant input of a coach. They will be able to challenge their abilities, dramatically improve their reaction time and develop a disciplined work ethic to become the best goalies they can be.